Data protection, freedom of information, and cybersecurity are increasingly in the focus of digital policy. Can technology provide adequate solutions to important policy issues? What are the options? 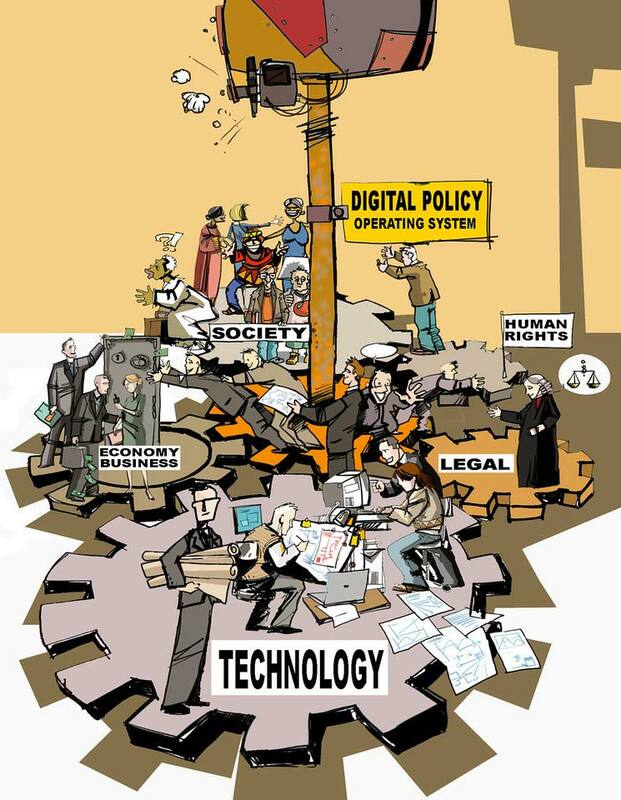 The conference on Technical Innovation for Digital Policy, on 25 April 2016, will gather leading Internet innovators and policy experts to discuss technical innovation and potential solutions to critical areas affecting Internet users worldwide. The conference is organised by the Geneva Internet Platform in cooperation with the University of Geneva, ETH, and DiploFoundation. CyberLab will feature practical demonstrations of tools for user protection, including circumvention technology (such as access to the Internet through the popular tool Tor), and encryption tools (such as technology developed by Geneva-based encrypted communications firm Silent Circle). Demonstrations by Bjoern Christian Wolf, DiploFoundation [download presentation]. Using the example of the SCION platform, developed by the Swiss Federal Institute of Technology in Zurich (ETH Zurich), the session will discuss how the technical architecture can help address policy issues such as global trust root management, network neutrality, and resource allocation for DDoS defence. Professor Adrian Perrig from ETH Zurich will introduce the SCION architecture [download presentation]. The domain name system is at the core of the Internet infrastructure. The question of how various technical solutions can affect functionality of domain name system will be addressed by Mr Louis Pouzin from Open Root [download presentation], and Mr Christophe Blanchi from DONA Foundation [download presentation]. Encryption was at the forefront of digital policy debates in 2016. The interplay between technical and policy dilemmas around encryption will be addressed by Mr Phil Zimmerman, father of Pretty Good Privacy, Ms Marilia Maciel from the Center for Technology and Society of the Getulio Vargas Foundation (CTS/FGV), Dr Richard Hill from Internet Society Switzerland, and Mr Michael Hausding from Switch. 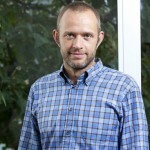 Christophe Blanchi has 25 years of experience in the computer science, distributed systems, information management, and computer security fields. His focus has been on the development of the Digital Object Architecture and its various systems and components and on its adoption in a wide range of projects within both public and private organisations. 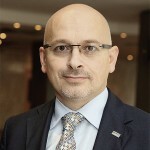 Christophe Blanchi is currently Executive Director at the DONA Foundation in Geneva and is responsible for its day-to-day operations, promoting the Digital Object Architecture, X.1255, and insuring the proper operations of the Global Handle Registry. Michael Hausding is a cyber- and Internet security expert. In his work for SWITCH, the CC-TLD registry for .ch/.li, he focuses on all aspects of domain security and is responsible for the Safer Internet campaign. He is a member of the SWITCH Computer Emergency Response Team (SWITCH-CERT). In his past Michael worked as a security expert for various Swiss ISPs. Jovan Kurbalija is the founding director of DiploFoundation and Head of the Geneva Internet Platform. He is a former diplomat with a professional and academic background in international law, diplomacy, and information technology. In 1992, he established the Unit for IT and Diplomacy at the Mediterranean Academy of Diplomatic Studies in Malta. In 2002, after more than ten years of successful work in training, research, and publishing, the Unit evolved into DiploFoundation. Dr Kurbalija directs online learning courses on ICT and diplomacy and lectures in academic and training institutions in Switzerland, the United States, Austria, the United Kingdom, the Netherlands, and Malta. His main areas of research are diplomacy and the development of an international Internet regime, the use of hypertext in diplomacy, online negotiations and diplomatic law. He is the author of An Introduction to Internet Governance, which has been translated into eight languages and is now in its 6th edition. 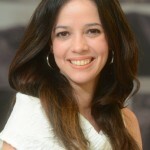 Marília Maciel is a researcher and coordinator of the Center for Technology and Society of the Getulio Vargas Foundation (CTS/FGV) in Rio de Janeiro. She is also a DiploFoundation fellow. She serves as a councilor at ICANN´s Generic Names Supporting Organization (GNSO) representing the Non-commercial Stakeholder Group (NCSG). Marília was a member of the Executive Multistakeholder Committee, which took part on the organization of NETmundial and she is a former member of the Working Group on IGF improvements (2011-2012), created under the auspices of the Commission on Science and Technology for Development (UN CSTD). Currently she is a member of the Advisory Board on Internet security, created under the Brazilian Internet Steering Committee. She is also a member of the editorial board of PoliTICs Magazine. Dr Hill was Secretary for the ITU‑T Study Groups dealing with numbering and tariff issues, network operations, and economic and policy issues; he was the Secretary for the preparatory process for the 2012 World Conference on International Telecommunications (WCIT) and headed the secretariat team dealing with substantive issues at the Conference. Dr Hill has facilitated numerous complex international negotiations regarding sensitive policy matters, including Internet governance. Adrian Perrig is a Professor of Computer Science at the Department of Computer Science at the Swiss Federal Institute of Technology (ETH) in Zürich, where he leads the network security group. He is also a Distinguished Fellow at CyLab, and an Adjunct Professor of Electrical and Computer Engineering, and Engineering and Public Policy at Carnegie Mellon University. From 2002 to 2012, he was a Professor of Electrical and Computer Engineering, Engineering and Public Policy, and Computer Science (courtesy) at Carnegie Mellon University; from 2007 to 2012, he also served as the technical director for Carnegie Mellon’s Cybersecurity Laboratory (CyLab). He earned his PhD degree in Computer Science from Carnegie Mellon University. He received his BSs degree in Computer Engineering from the Swiss Federal Institute of Technology in Lausanne (EPFL). 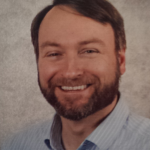 He is a recipient of the NSF Career Award in 2004, IBM faculty fellowships in 2004 and 2005, the Sloan research fellowship in 2006, the Security 7 award in the category of education by the Information Security Magazine in 2009, the Benjamin Richard Teare teaching award in 2011, and the ACM SIGSAC Outstanding Innovation Award in 2013. Adrian’s research revolves around building secure systems – in particular he’s working on the SCION secure future Internet architecture. 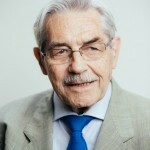 Louis Pouzin has acquired an international reputation as an expert in computer communications and networks. 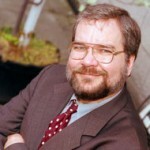 Most of his career has been devoted to the design and implementation of computer systems, such as CTSS, the first large time‑sharing system at the Massachusetts Institute of Technology, or the CYCLADES computer network and its datagram packet switching network, from which TCP/IP was derived. Besides his experience leading teams of top professionals, he is known internationally for his participation in early network standardisation activities within IFIP, ISO, and CCITT, and his numerous publications, many of which have become educational material in network courses. As a lecturer, he is especially appreciated for presenting complex subjects in clear and understandable terms. He graduated from École Polytechnique in Paris. He is a former chairman of IFIP‑TC‑6 (data communications). He has published more than 80 articles and a book on computer networks. Among awards he has received: IFIP Silver Core, ACM SIGCOMM, IEEE Internet, French Légion d’Honneur, ISOC Hall of Fame, Queen Elizabeth prize for engineering, and French Médaille d’Honneur de l’Académie des Technologies. Presently he is President of Open‑Root, a service promoting independent DNS roots in the Internet. Philip R. Zimmermann is the creator of Pretty Good Privacy, an email encryption software package. Since 2004, his focus has been on secure telephony for the Internet, developing the ZRTP protocol and creating products that use it, including Silent Phone and Zfone. Zimmermann is Co-founder of Silent Circle, a provider of secure communications services. Before founding PGP Inc, Zimmermann was a software engineer with more than 20 years of experience, specializing in cryptography and data security, data communications, and real-time embedded systems. Zimmermann received his bachelor’s degree in computer science from Florida Atlantic University in 1978. He is a member of the International Association of Cryptologic Research, and the League for Programming Freedom. 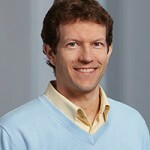 He has served as a Fellow at the Stanford Law School’s Center for Internet and Society. He served on the Roundtable on Scientific Communication and National Security, a collaborative project of The National Research Council and The Center for Strategic and International Studies. He also served on the Board of Directors for Computer Professionals for Social Responsibility, and currently serves on the Advisory Boards for Santa Clara University’s Computer Engineering Department, Hush Communications, and AllClearID. Zimmermann has received numerous technical and humanitarian awards for his pioneering work in cryptography. In 2015 he received the US Privacy Champion Award from the Electronic Privacy Information Center. In 2014 he was inducted into the Cyber Security Hall of Fame, and Foreign Policy Magazine named him one of the Leading Global Thinkers of 2014. In 2012 the Internet Society inducted him into the Internet Hall of Fame. In 2008 PC World named him one of the Top 50 Tech Visionaries of the last 50 years. Bjoern Christian Wolf is a Research Fellow at DiploFoundation. His core interests are social and economical dimensions of information technology. After an insight into IT consulting, he returned to his alma mater, the London School of Economics, as a graduate student of Information Systems, researching social and economic aspects of the darknet. Apart from his research in the UK, he has previously addressed diplomatic audiences, including the OSCE Ministerial Council, in Vienna, Belgrade and Geneva. Richard Hill is President of the Association for Proper Internet Governance, a non‑profit organisation based in Geneva, Switzerland, and Vice Chair for External Relations, Internet Society Switzerland. He has an extensive background in information systems, telecommunications, negotiation, mediation, and conflict management. He is an accredited mediator and an active domain name arbitrator. 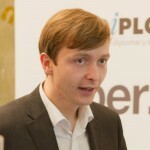 He has published papers on mediation and computer‑related intellectual property issues and on the International Telecommunication Regulations (ITRs). It’s just one phone – or is it? Towards an Internet social contract?